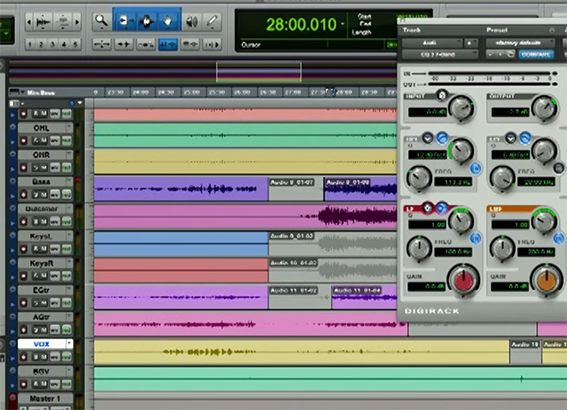 Home » Tutorials » Record » Mic, Line and Instrument Level – What’s the Difference? When sound hits the diaphragm of a microphone very low voltage signals are produced. On a dynamic microphone these signals are typically around 1.5 millivolts. For a more sensitive microphone the voltage would be more like 70 millivolts. These signals are weak and can be affected by electrical interference quite easily. If you plug a mic directly into an active speaker for example, you probably won’t get any sound. As this signal is so weak a pre-amp is required to boost the signal to line level. 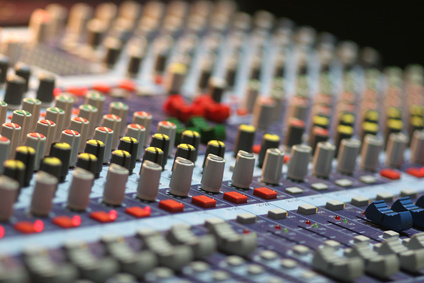 The outputs of the pre-amp can then be connected to the inputs of a mixing desk or audio interface for example. 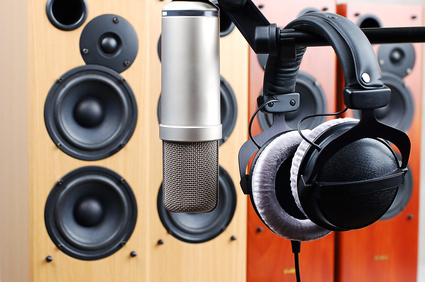 Microphone impedance affects the efficiency of how the signal is transferred to the input of the pre-amp. Mic level is -56 to -40 dbm. 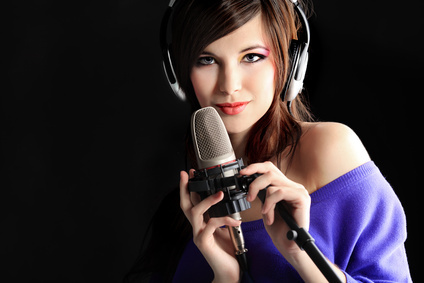 High quality microphones have low impedances and are best suited to low impedance inputs. 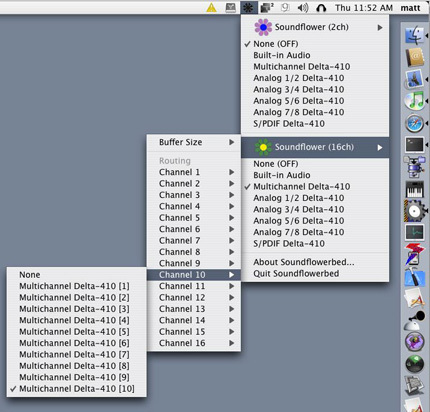 Low impedance means the current is stronger therefore giving a better signal to noise ratio. Consumer microphones are often high impedance (Hi-Z) and should be connected to high impedance inputs. High impedance signals are more prone to interference and noise. Some modern condenser mics have quite a high output. When using them with a loud sound source such as drums or vocals with phantom power (+48v) enabled, they can be plugged directly into a compressor or mixing desk without the need for a pre-amp. Line level signals have a much higher voltage output than mic or instrument level, usually somewhere around 750 millivolts. As this signal is stronger it can be carried over a longer distance. 750 millivolts is the industry standard and allows for the interconnection of different devices from different manufacturers. 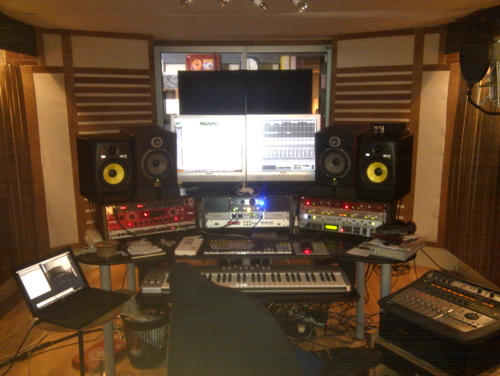 Although keyboards and guitars do not output at the same level they are usally somewhere between mic and line level. To take the signal of an instrument to line level an active DI (Direct Injection or Direct Input) Box is required. To take the signal of an instrument to mic level an active or passive DI Box can be used. 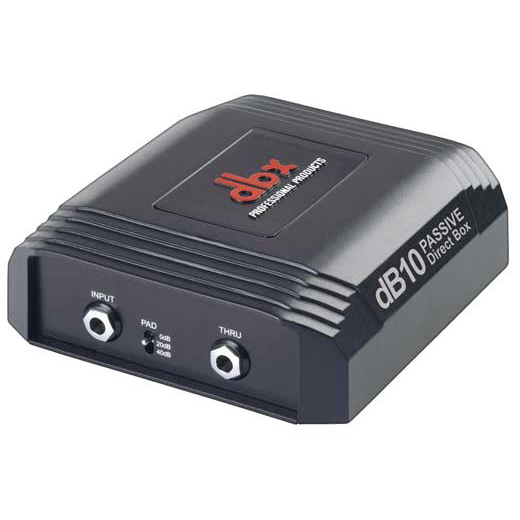 DI Boxes convert unbalanced high impedance signals from guitar pickups and contact microphones, into balanced low impedance signals required by mixing desks. Active DI Boxes use electrical circuits to convert the signal and require a power source to run which is usually a 9v pp3 battery or power adapter. 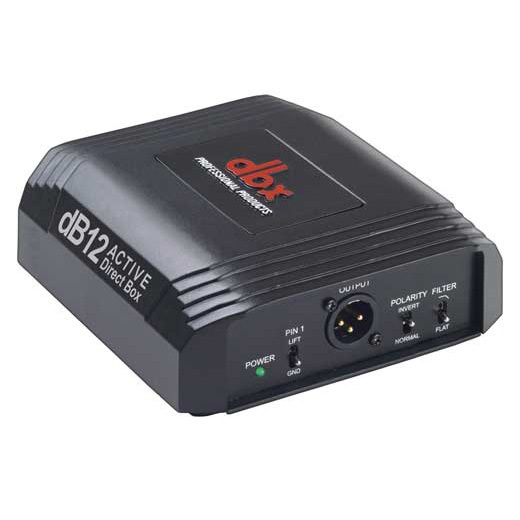 Some, such as the DBX D12 (pictured below) can run off phantom power, allow the polarity to be reversed to combat phase issues and have a ground or earth lift switch which allows the user to disconnect the ground cable in a microphone or balanced instrument lead to remove humming and buzzing caused by ground loops. Connecting a DI Box is pretty straight forward. Plug your instrument or microphone cable into the input and connect a balanced mic lead from the output to your mixing desk. Passive DI Boxes use a transformer to convert the signal. They do not require a power source and are usually cheaper than active DI Boxes. Most passive DI Boxes will suffer some loss of high frequencies however this is usually outside of the usual range of operation in all but he cheapest models. A high quality Passive DI Box is a safer bet for live shows as there is no danger of the battery running out during a performance. Thaks for reading this. Please feel free to leave your comments and questions below.